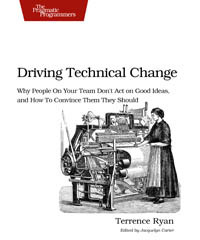 If you work with people, you need this book. Learn to read co-workers and users patterns of resistance and dismantle their objections. With these techniques and strategies you can master the art of evangelizing and help your organization adopt your solutions.